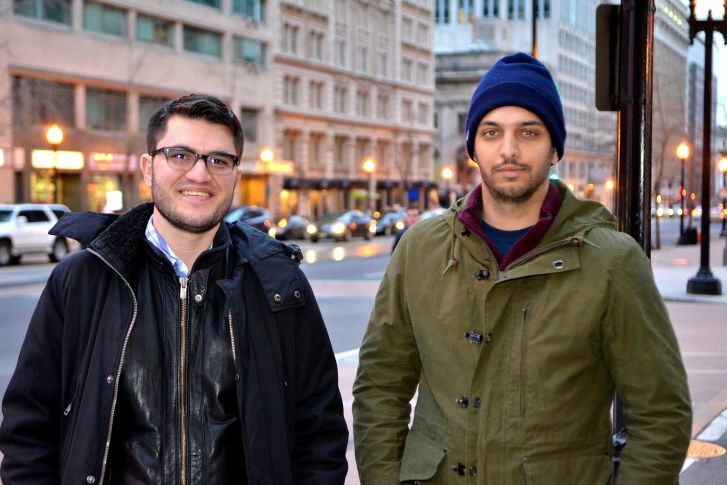 Two longtime D.C. friends are helping under-served businesses overcome their obstacles with creative campaigns. WASHINGTON – On Jan. 30, 2014, Emiliano Ruprah made a discovery that still summons a chuckle out of the 30-year-old. The District resident did not actually ride the chestnut-colored horse that clopped down the sidewalks of Connecticut Avenue in Chevy Chase, D.C. He stayed behind a camera while filming what turned out to be the ride of a lifetime for local business owner Ofelio Crespo. Crespo goes by another name to those in D.C.’s Latino community who have been eating his traditional tamales for the past eight years. To them, the tamalero is known as the Mexican Cowboy. Crespo makes and delivers sweet and savory tamales — a traditional Mexican dish of seasoned meat, wrapped in cornmeal dough and steamed in a corn husk — out of his kitchen in Columbia Heights. Recently, he decided to expand his tamale delivery business to include demographics outside the Latino population — a decision based on his changing neighborhood and the rapidly changing city. That’s where Ruprah and his business partner Carlos Martin del Campo of Capital Hustle decided to help. The two were working to launch a service that helps bring attention to local entrepreneurs who do not have big budgets or an excess of resources. “There are a lot of entrepreneurs that we take for granted or that don’t get the coverage they deserve,” says Martin del Campo, also 30. “They’re creating incredible products, they’re just outside of the digital landscape; they’re maybe not as young or maybe not as wealthy,” Ruprah adds. Both Martin del Campo and Ruprah were born in Mexico and became fast friends while growing up in Northwest, D.C.
After coming and going for years — through college, jobs and travel — they’ve seen their hometown go through major transitions.